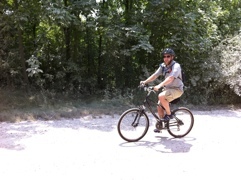 Even though it was 92 degrees, my son Jesse and I took off riding our bikes together. 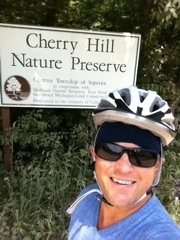 We headed down the country dirt roads to the Cherry Hill Nature Preserve. 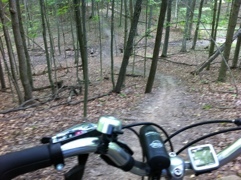 It is a mature hilly forest with rugged trails. 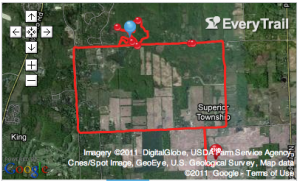 We raced around through the trails at a pace to get a good work put. Riding the road hits one set of muscles but the mountain riding hits all muscles, at least it feels like it. Nice doing things with my son. Sometimes we take his older kids too. Previous post: What’s all the Fuss about Mary?